Manchester: Gabriel Jesus has returned to boost Manchester City's quadruple bid, offering much-needed relief for the club's record goal-scorer Sergio Aguero. 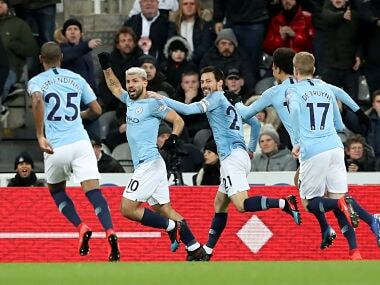 Aguero has been in prolific form for Pep Guardiola's side, scoring 12 goals since the turn of the year as City fight to retain the Premier League title. But Jesus' fitness problems have piled an increased workload on Aguero, who played six games over 24 days in February while his City team-mate struggled with a hamstring injury in recent weeks. 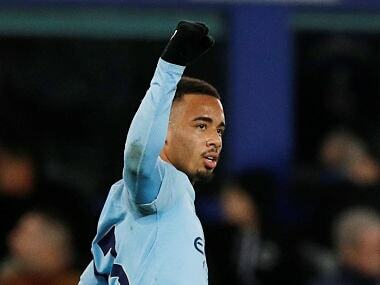 However, Brazil forward Jesus is in competition to return as City visit Bournemouth on Saturday looking to secure a victory that would temporarily move them two points ahead of Liverpool before the current leaders face Everton on Sunday. 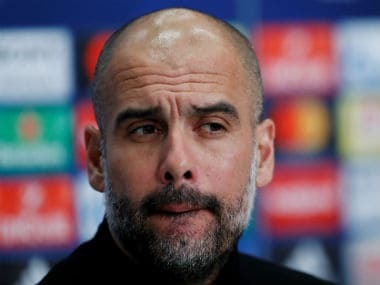 Jesus' presence is a relief for Guardiola, whose squad has been stretched by the injuries to Fernandinho and Aymeric Laporte in last weekend's League Cup final win over Chelsea. City captain Vincent Kompany has made a welcome return to the squad, playing three games in a week despite his long record of injury problems. But Guardiola admitted handling Kompany's persistent fitness issues has been a challenge. "It's not easy, in one time he's incredible, the only guy I've met who doesn't train for two months then can play 90 minutes after one and a half training sessions," Guardiola said. "He knows his body perfectly. It's a risk. But John Stones is back, like Gabriel, we'll see tomorrow. "Nico (Otamendi) cannot play against Schalke and Aymer is injured so let's see what he have to do. "He likes to play the way we try to play. I've spoken to him. He adapts quite well, when we are not here he has been injured, the intensity, he knows his position perfectly, he knows the game. "He understands what we need to do. 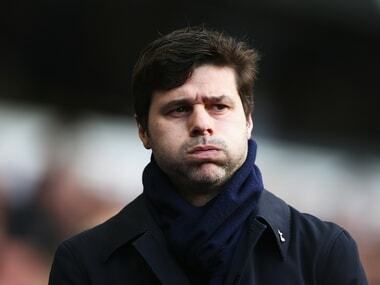 We cannot use him so regularly because of his fitness but when he is fit he's an incredible player." The situation regarding England midfielder Fabian Delph, who has been struggling with an ankle injury and illness, is less clear, however, with Guardiola confirming that he is available but has not been selected for the trip to Bournemouth. "He was injured but makes the training session. He can play but he's not in the squad," Guardiola said.